The Google Calendar integration lets you seamlessly import events from Google into your Float account. 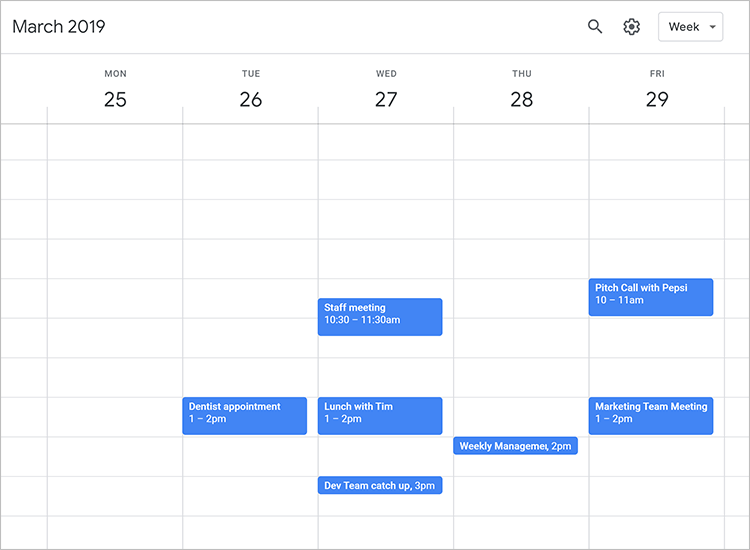 Once you've connected your account, events created in your Google Calendar will automatically sync as tasks within Float. From the Global Nav at the top of Float, select My Info and then Integrations. Click Connect Account and choose the Google account and calendar you want to sync with. You'll also need to select a Float project to add your tasks to (e.g., Google Calendar Events). You can change both the Google account you've connected, as well as the Float project you've associated your Google Events with, from the Integrations tab. Individual events are imported from two months before the date you sync and three years after. To stop syncing events and remove your calendar, select "X" within the Integrations tab. You have the option to keep the tasks that have already been created or to remove those as well. All day events are not imported. Any changes made to your Google events will be reflected within Float but not vice versa. Consider using iCal if you'd like to share your Float calendar with your Google calendar. Events scheduled overnight in Google (e.g., 10 p.m. - 1 a.m.) will display on the first day within Float with no crossover into the next day. Google Calendar descriptions are imported to the maximum number of characters supported in Float (250). Any additional characters will not display. Google Calendar event times will be synced to the Timezone set in Account Settings. Recurring events will only be treated as repeating tasks in Float if they occur once every week or once every two weeks. All other recurring events will be imported as individual tasks. Float supports repeating tasks with end dates. If no end date is set, an end date will be set three years from the date of import.